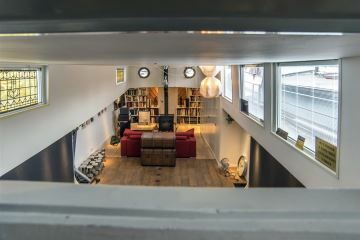 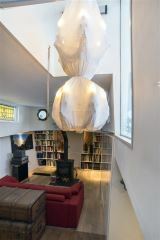 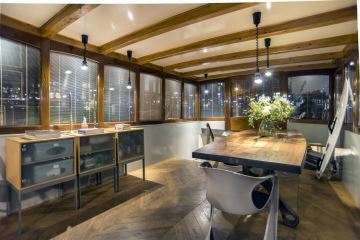 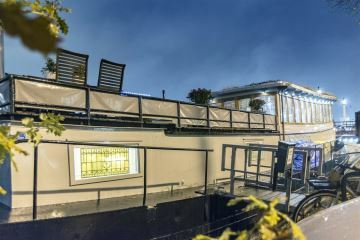 Amstel 256 /L* 1017 AL Amsterdam, Amstelveldbuurt - Makelaarskantoor Carla van den Brink B.V.
Movie stars, writers, and even a Dutch Prince once lived on this houseboat located at the heart of the historic old city centre. 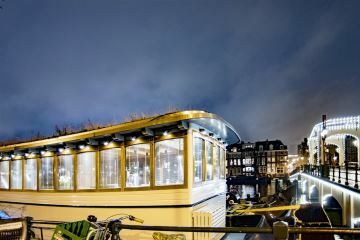 The Skinny Bridge houseboat is located at the most picturesque location of the Amstel river, arguably the most depicted spot of the canals in the historic city centre. The boat is docked right next to the famous Skinny Bridge, in front of a double wide mansion from the 17th century. 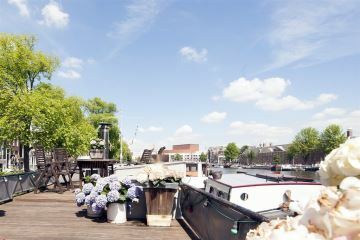 This property provides its residents with a stunning 360 degree views of the Amstel canal from both the kitchen and its large roof terrace. 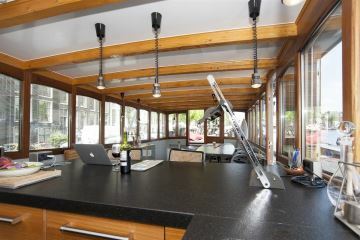 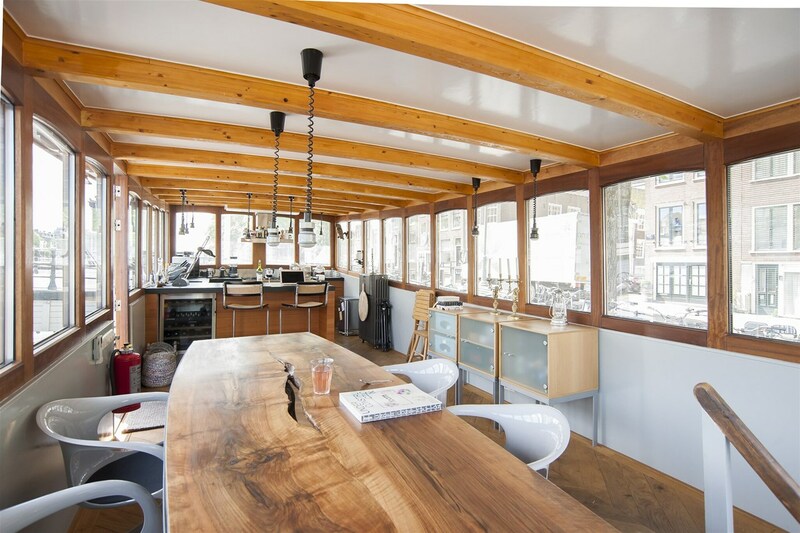 The Skinny Bridge houseboat is a fully modernized "Tjalk" built in 1892. 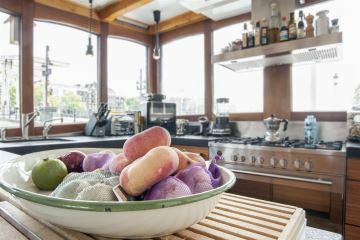 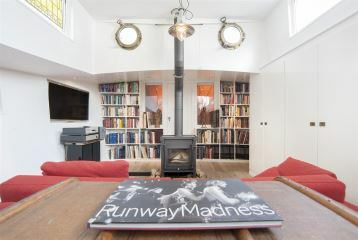 It feels like a loft-on-the-water, with high ceilings, and lots of windows. 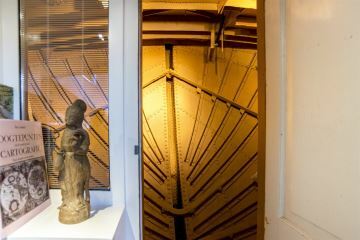 Being firmly secured to the road beside it, the ship hardly moves. 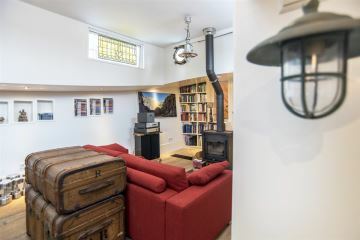 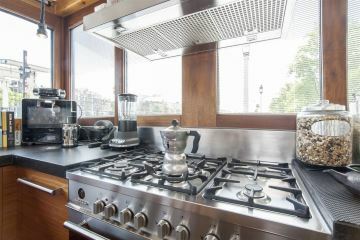 What sets this houseboat apart are its huge roof terrace - which is a rarity in the bustle of the city centre - and its two lofty floors. 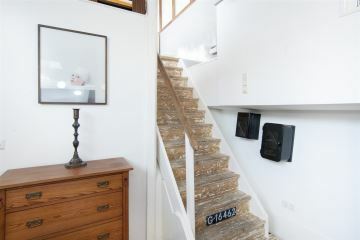 The main entrance is located at the upperdeck. 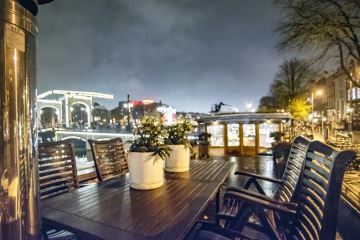 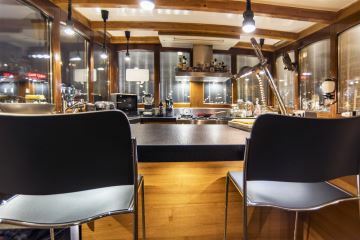 Upon entering, you will find the dinner area, with 360 degrees views over the Amstel river. 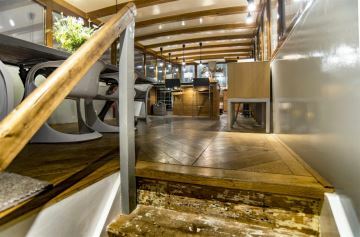 From here it is possible to reach the terrace. 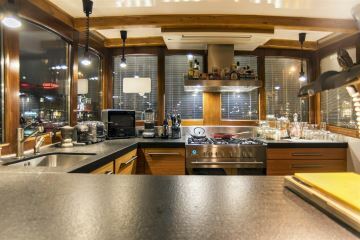 The large open kitchen is elegantly styled with teakwood and black stone. 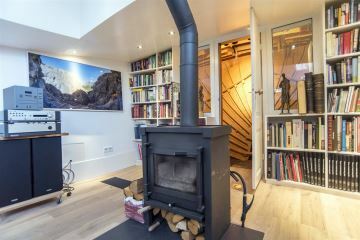 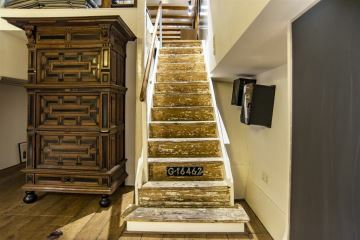 From here it is possible to reach the staircase to reach the lower deck, which contains a marvelous living room with a cozy corner with a fireplace. 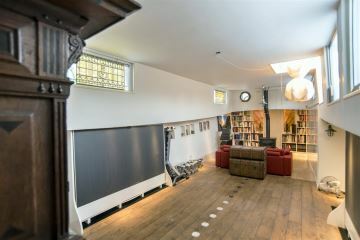 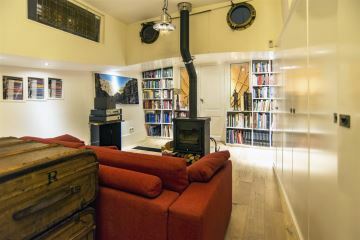 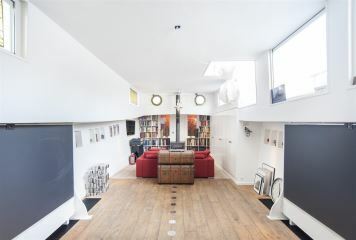 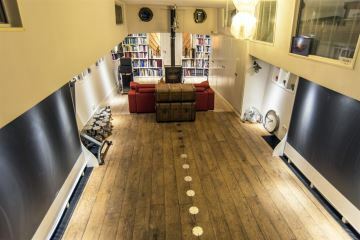 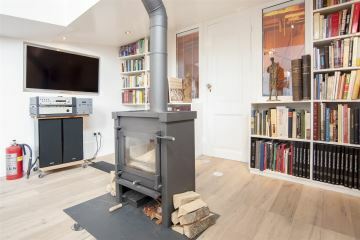 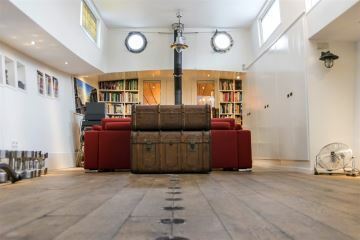 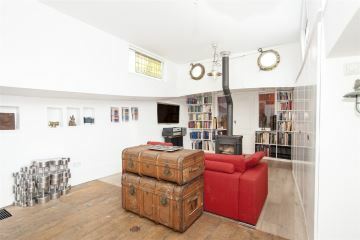 This corner is currently used as a lovely library complete with an built-in bookcase and wardrobe, with a secret door to view and enter the stem of the ship. 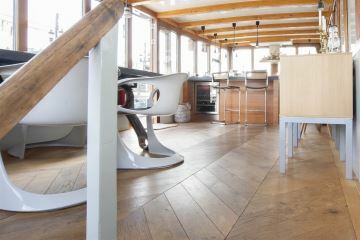 This is without a doubt one of the most magical areas of the property, you can clearly see the skeleton of the ship. 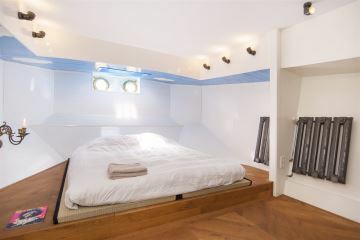 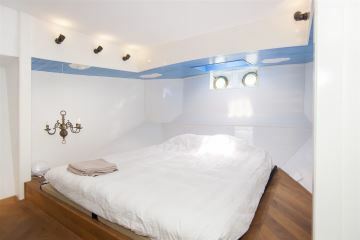 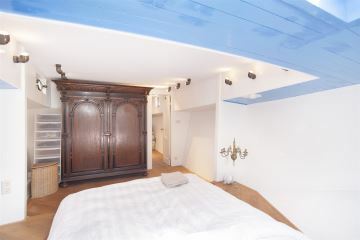 At the rear end of the ship, you will find the master bedroom. 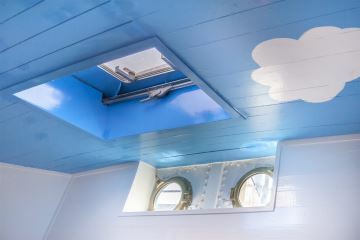 Thanks to the roofwindow, this room has a bright and clear atmosphere. 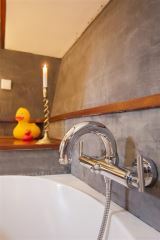 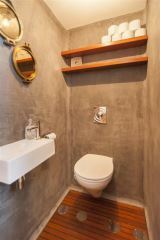 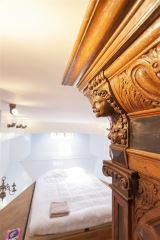 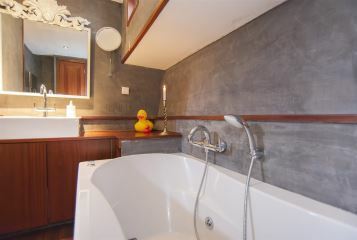 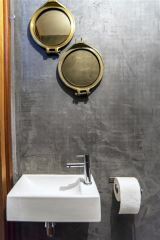 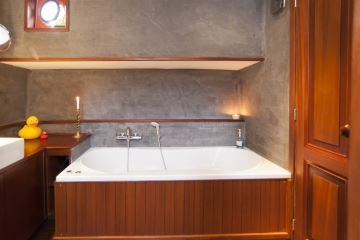 In the hall between the masterbedroom and the living area, are the teakwood bathroom with shower, jacuzzi and sink, and a separate toilet. 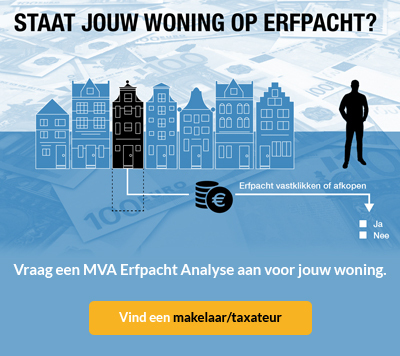 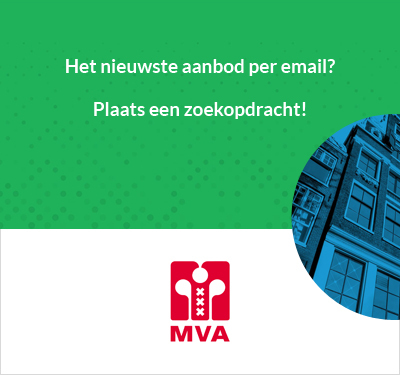 Among the major attractions in the direct surroundings - within 5 minutes walking distance - are the Hermitage Museum, the Carr� Theatre, the Rembrandt House, the Stopera, the Waterlooplein, the Hortus Botanicus etc. 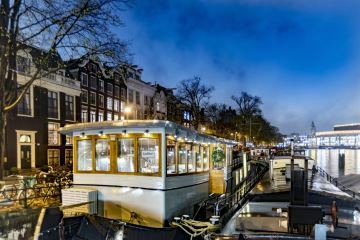 Only one street behind, parallel to the Amstel, is the famous Utrechtsestraat, lined with bars, breakfast places, mostly top-end boutiques and lovely restaurants. 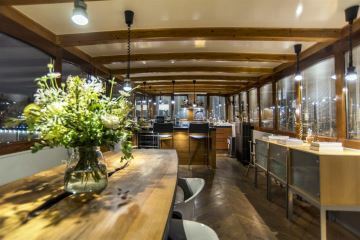 However, the best place for a unforgettable dinner is undoubtedly at the boat itself. 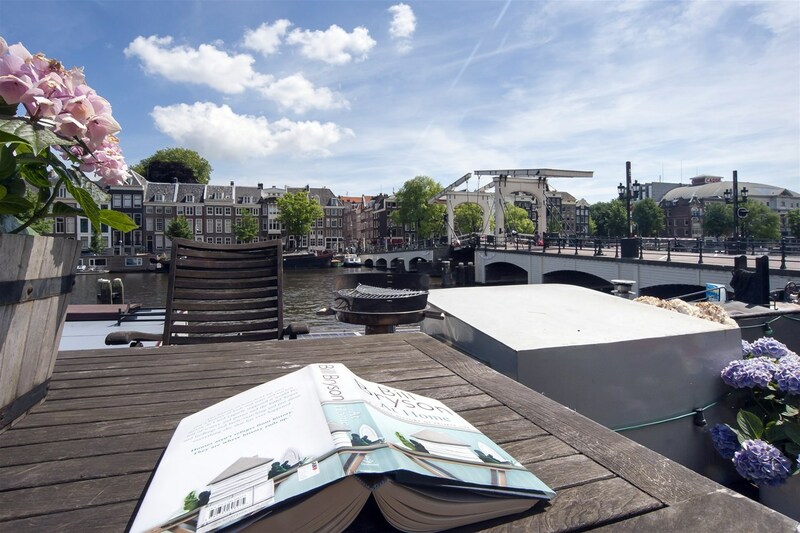 All other major attractions of the historic city centre, like the Van Gogh Museum, the Rijksmuseum and the Stedelijk Museum are within 15 minutes cycling distance. 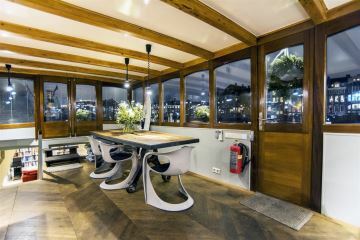 - High quality system of Loxone Domotica to arrange the alarm, lightning, blinds, fire sensors, heating control and camera surveillance at the front deck.